Coles approached Data Creative seeking a simple solution for communicating a complex message. By conducting a split campaign, the aim was to up-sell existing Coles Insurance customers to a Coles Mastercard. 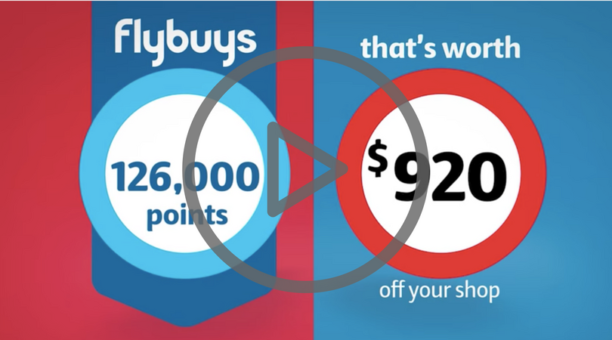 This was to be achieved by communicating the benefits of Flybuys rewards, so it was important these benefits were communicated in a clear and easy to understand way. Data Creative produced a video that resonated with Coles customers by using easy to follow graphics and text, to help explain and sell the personal benefits of the complicated product offering. By giving individual meaning to the consumer through the video message, Coles was able to achieve much higher customer engagement. Emails that included the personalised video received a 40.5% increase in email opens when compared to emails where the video wasn’t included. The effectiveness and success of the video was further evident with sales conversions being 55.6% higher from recipients who received and viewed the video. This translated to 61% of those who viewed the video becoming new applicants. Data Creative was able to help Coles achieve these impressive sales outcomes by building a receptive customer audience via its personalised video marketing platform with easy to understand video. Connect with Data Creative at datacreative.co and follow on Twitter @datacreativevid, Facebook @datacreative and YouTube.